Excellent video and good choice on having the somber music play at the beginning while the logo is still showing. Now if you’ll excuse me, I’m going to get a few friends together, move to Israel and claim responsibility for the next bridge collapse or industrial explosion that occurs in the U.S. so that the U.S. military will invade Israel. Because that’s how it works right? You don’t have to be a representative of the country or its military, or anything like that; you just have to be present somewhere in the country when you make the claim, then the U.S. military will invade and destroy the entire country. Right? It would just be blamed on Palestinians. Israel never takes the blame for anything. Thanks for your continued hard work on this subject James, that’s two more nails in the coffins for the grand conspirators just this month. Just think one day in the not too distant future we may get to see their smug faces crack as the coin drops that they are just mere humans in the eyes if the law, I expect at that point they will start ratting on each other, bring it on. Are you sure 28 pages haven’t been redacted from that cable…?! The Achilles heel? Does Achilles even have a heel if REUTERS hasn’t reported on it? If there’s any morality left…in the world…? ’cause Niels Harrit, Tommy Hansen and James Corbett went to all the trouble. Thank you James. Very enlightening and sad. I know I’m off-topic here but I have been searching for your video/s about alternate internet-platforms and probably not using the right words on your search-bar. If you or your subscribers have time, please post this valuable information in a conspicuous spot. As you have mentioned,there is an urgency for alternate social and video-platforms, search-engines, browsers etc. Another website recently mentioned that the channels hosting RT America are lessoning. All the best. Currently, I can’t find it, but there was one thread (an ‘Open Source’ thread prompted by Corbett) which had some great discussions about browsers and search engines. 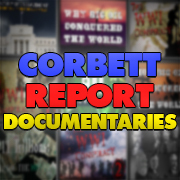 Try using a search engine(s) and using “Corbett Report” and key words. Sometimes, the key words will show up in the discussion thread. Around the time James uploaded this Afghan video, a TYPHOON was around Japan. I hope things are okay in his area. Earlier this summer, they had some terrible flooding not far from his neck of the woods, and this summer the heat was pretty ruff too. The Typhoon took this ferris wheel for a spin in Osaka. I appreciate this info. Thank you. As I already mentioned on steemit, I will dig into the further information provided in this article. But I think some “9/11 Truthers” put too much emphasis on Zionists in relation to the 9/11 Event. I think that a bunch of “psychopaths” were involved with the 9/11 event and helped to cover it up. I prefer that term… “psychopaths”. Definitely understandable to think that way (psychopaths instead of zionists). 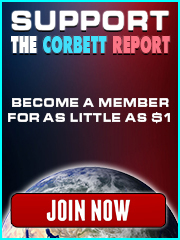 You are right about Texas and Corbett Report members. I see a lot of folks from Texas on these threads, and also Corbett has interviewed folks from Texas. Are you around Germany somewhere? yes I am from and reside in Germany. emotional derogatory vociferating does not earn credibility. At least not from me. and therefore discredits “the Truth” and aids the forces that would obfuscate it. manbearpig, You said things very well. Thank you for you comment as well. I looked up the part. It’s not that he just puts this out though. It stands kinda as conclusion or in the middle. Definitely would not have put me off entirely. This is a first for me. I don’t get the significance of the document in question, dated 10/1 and released on 10/2 to be talking points for involved NATO countries. I’ve listened to the report 4-times now. Below I’ve listed the main points noted in the report. While I get the build-up of deceit that lead to the invasion of Afghanistan (usual), I do not ‘get’ the document’s connection as evidence. It sounds like a dating issue but I cannot identify that significance as seen by Harrit, et al. 4. No evidence to launch an attack against Afghanastan yet was launched. 8. 2009–Harrit connects the Norweigen document find of the US State Dept directives to speakers about 9/11 for talking points, again it was dated 10/01. 11. Document provides no proof of A-Qu ‘Ida’s connection and nothing but circumstancial evidence–as always! Based on all the preceding evidence–Brzezinski’s pin-pointing Afghanistan 4-yrs earlier as a resource to invade, the obvious gas pipeline interests going on long before the document was produced, the meeting in TX to force US oil interests onto the Taliban, as well as the statement by the Pakistan Secretary about the US threating an invasion of Afghanistan in 07/01 and Bush’s NSPD-9 outlining military moves against Taliban targets presented on 9/4/11, I’m at a loss about the document in question. err… You da Pig… ? Thank you SO much. My brain was locked in looking at a totally different perspective, that of the 9/11 murders and not that which concerned the Afghanistan invasion alone. DOAH! Many, many thanks for clearing up THAT. For me, the most interesting bit was that they prepared to go into Afghanistan before 9/11 happened. Also, these fast deployments are usually very telling, however nobody seems to notice, nobody seems to care. My question to this is: where are the official documents proving this? Even though the flight records alone wouldn’t be good enough evidence that Al-Qaeda alone was behind the 9/11 attacks, considering all the counter-evidence that the attacks were actually conducted by the U.S. government and co-conspirators. Also, the flight log documents could probably be forged or invented. The U.S. is officially claiming it had knowledge of the possibility of impending Al-Qaeda attack(s) just 3 months prior to the 9/11 attacks. Yet, NORAD was unprepared to intercept any of the planes on 9/11 as they flew around unmolested for several hours. If the U.S. were truly aware and on high-alert they should have stopped the “hi-jackers” before they even arrived at the airports, let alone flown planes into high-profile targets. Just another little hole in the official narrative. There is clear proof that the remains of the airplanes were not those reported by the government. They were likely switched with military versions in radar-dark zones. Around the same time when the transponders were out. Transponders are signals that all planes to identify themselves. free flight to do their bombing. The CIA document on Cuban false flag, also mentioned switching planes. And there was an AWACS in the air, unlike the air-defense, to control them. And somehow Pentagon’s “secret” anti-air defense was down. Well, surely you could share that evidence? No, you just state that the evidence is “clear” even “overwhelming”. Surely, there are at least a few examples that you can cite? The Brezinzski indymedia link is dead on all websites. Council on Foreign Relations timeline of Afghanistan. In actuality, I was searching for more information about the Tall Tale which Rumsfeld told on December 2, 2001 during Meet The Press regarding the cave fortresses. The second website mentions a two bedroom cave of Bin Laden’s with a crude swimming pool, along with another entry “believed” to have lived in a cave which could hold vehicles. I would like to repost this on my blog in full with the transcript, both this report and your Niels Harrit interview. Videos + transcript. My blog was started in 2016 in response to the oncoming coup in Brazil, but has recently started to broaden out into other topics, such as the media and geopolitics. May I? I will give full credit and link back, but I think this is important to get out there. If there are restrictions or caveats, please let me know. James doesn’t have a problem with people reposting his work, he has made statementa publically to that eftect on several occasions. Thanks for helping to spread the word. You are free to repost or republish the work provided you do provide the link back to the original. Shoestring recently brought up a point about Afghanistan.